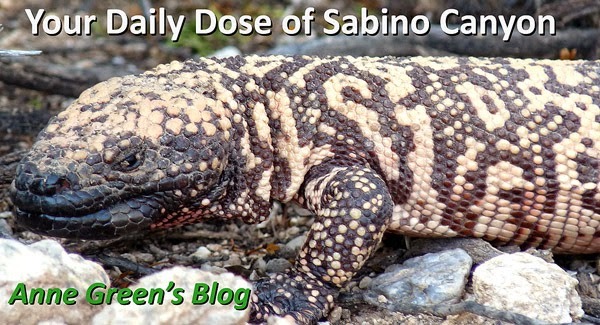 Your Daily Dose of Sabino Canyon: There's a new tortoise in town! Well, maybe s/he's not so new, but the smallest Desert Tortoise I've seen. My husband and I changed the hummingbird feeders in the canyon today, and I nearly tripped over this tortoise on the way out. Careful to keep our distance for the photos, we were left a 'present' from a fellow herbivore. I say: Live long and prosper.